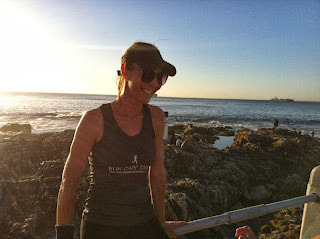 Running the Race: Run Cape Town! I often travel for work and when I do, I love nothing more than taking along my running gear and exploring my destination on the run. The problem is, though, that I often travel alone and running solo in an unfamiliar city at dusk or dawn just doesn't always seem like the smartest thing to do. 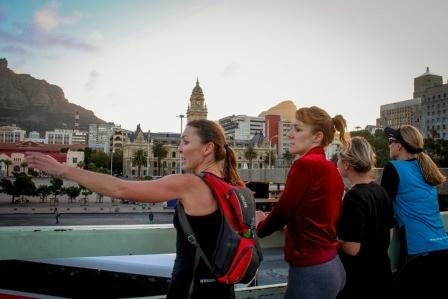 With this in mind, I was thrilled to learn about Run Cape Town - a running tour operator offering personalized and individual guided running tours in the Mother City. Perfect! 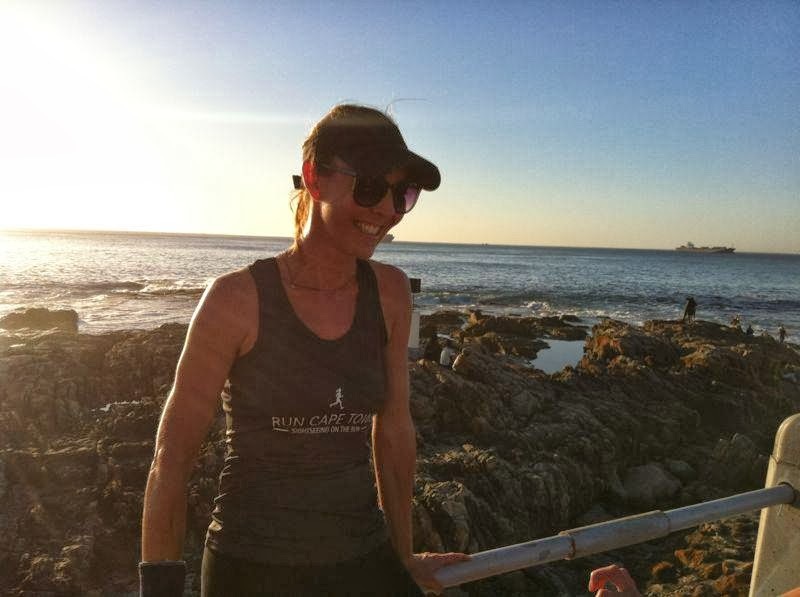 Run Cape Town was founded by Philippa Jephson, a 34-year old speech and language therapist who is also an accredited Western Cape Tourist Guide. Philippa takes individuals and small groups of 2 to 5 people on a variety of running tours through some of Cape Town's most scenic and historical areas and tailor-makes each tour to suit the client's preferred departure time, distance, route and pace (route options can be viewed here). Personally I love the fact that Philippa takes along a camera to capture moments of the tour (pictures are sent to the client(s) after each tour) and I've even heard rumors of jelly baby stops en route - awesome, right? Philippa also carries water for, as well as the small personal items of, the entire group during the tour, giving clients the freedom to simply run and enjoy the scenery. Are running tours for everyone, you ask? Philippa assured me that no-one is too slow or nonathletic to do a running tour. 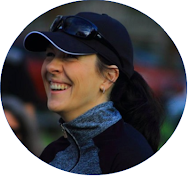 Says Philippa: "I personally am not a professional runner, by any means, just someone who loves to get outside and go for a run, and this is the idea of the running tours. The goal is to keep the tours very small and personal, even individual at times, so that the client/visitor gets to run at their own pace, stopping when they want to stop for a breather/some water, and taking time to check out a historical landmark or a cool albino squirrel or take a photo of something that catches the eye. Also, as we are doing “sightrunning”, we stop/walk at times to have a bit more time to talk about something a little more in-depth." To those who still feel a bit uncertain about running in unfamiliar areas, Philippa gives the assurance that safety is a very high priority on each tour: "...in general we always keep to wider pavements and pedestrian streets where possible, crossing streets at traffic lights only when it is safe to do so. We run during appropriate times, i.e. when there are people around and we keep to busier thoroughfares. If we do go on trail runs, we make sure there is a big enough group to ensure safety in numbers." Not having to carry any cameras, etc. during the run also contributes to not making the group a target of crime. Of course there are also some funny moments during the tours: "I was recently “pooped” on by a seagull whilst running on the Sea Point promenade – the joys of coastal running! ", laughs Philippa. "I tweeted about this, as it seemed like something kind of improbable (what are the chances of getting hit by a seagull missile on the run?? ), and I wanted to see if it had happened to anyone else out there. I received a reply from some chap who it had happened to whilst running along the Thames! So it seems that this is not that uncommon an occurrence…" Consider yourself warned! So if you're planning on visiting the Mother City anytime soon, contact Philippa (contact details here) and experience Cape Town like you've never experienced it before. I know I'm definitely going to! 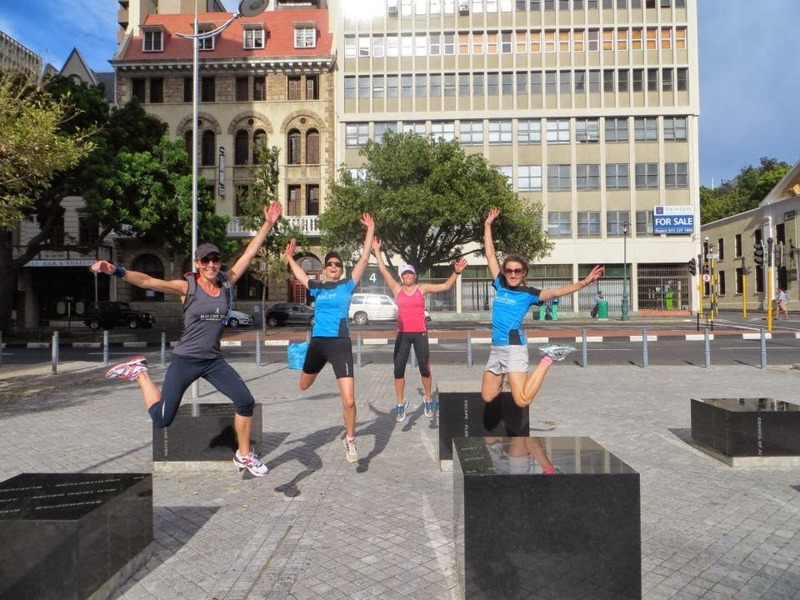 Have you ever done a running tour? If so, where and how did you experience it? Interesting post. 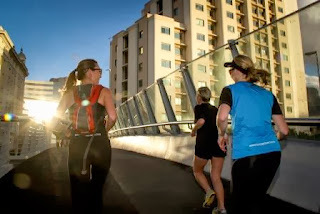 I read about the running tours, especially when I go to Great Britain but I never did id because I preferred to enter the Park Runs or to explore the city by myself. However the running shoes are always in my baggage. Enjoy Cape Town.